Bodie is a huge ghost town in the Eastern Sierra. It was a very large mining operation. It is now a California State Park. I have photographed a lot of it, both inside and out. The image above is of a catalog in the Bodie General Store. The previous ones are all black and white. 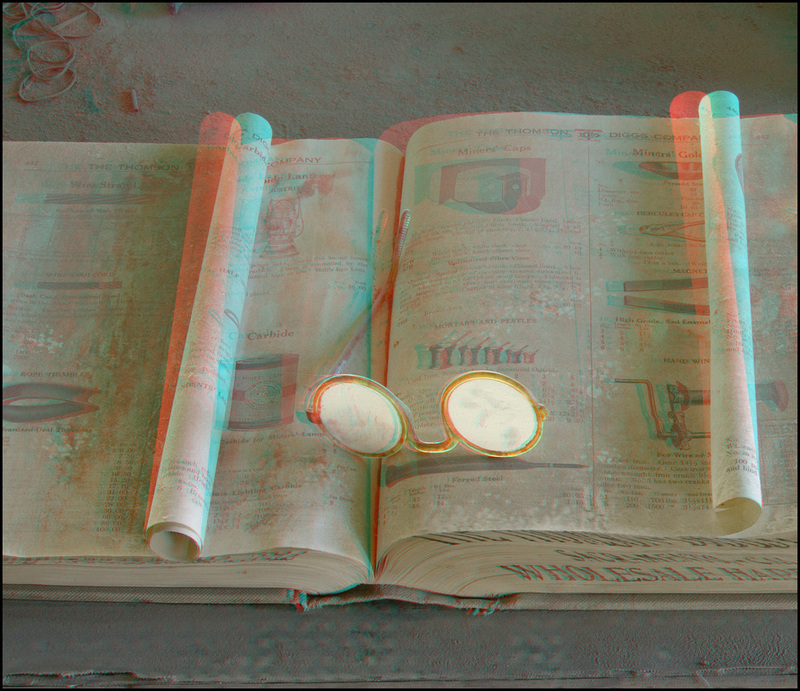 I have added 4 of them in color which you may see as parallel, cross-eyed, or anaglyph.